Marianna Török, PhD has worked on advancing social issues for years (Soros/Open Society, Nonprofit Information and Training Center (NIOK) and at GuideStar International) with communications being more and more the focus of her work and her PhD studies. With over 25 years of leadership and management experience as well as extensive a researcher work today she works as a free lance consultant sharing her time in different countries and continents. Most recently, during her four years stay in Princeton, NJ, she started to focus on cross cultural communications and education in the area of creativity and innovation. She is an expert on organisational development, an active consultant who has also published on several issues of her field. Boris obtained a degree in philosophy and history from Comenius University in 1991, and a post-graduate certificate in Developmental Donor Practice from London Metropolitan University in 2008. He was a student activist, interpreter, assistant to policy unit, project management trainer, organizational development and evaluation consultant and foundation manager. Currently he focuses on research and knowledge development in the field of the third sector, philanthropy and foundations, focusing mainly on CEE and post-communist countries. Boris provides advice and consultations in philanthropy, civil society and development to clients in private and public sector. He is a co-founder of the Center for Philanthropy in Bratislava, a not-for-profit philanthropy infrastructure organization, which he lead as executive director for 10 years and where he is currently institutionally based. He is a member of the editorial board of Alliance magazine, member of the Governmental Council for Non-Profit Non-Governmental Organizations in Slovakia and international research networks on the third sector and philanthropy research. Igor Vidačak is Director of the Office for Cooperation with NGOs in theGovernment of the Republic of Croatia, where he has worked since 2007, undertaking many initiatives for improving legal, institutional and financial framework for civil society-government cooperation in Croatia. 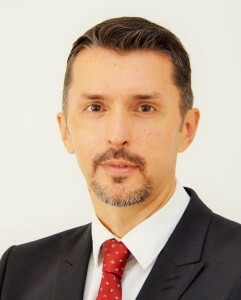 Prior to joining Croatian Government, Igor has worked as research fellow at the Institute for International Relations in Zagreb, since 2000. He has been involved in various technical assistance projects related to reforms in creating enabling environment for civil society development in Europe, Eurasia, Middle East and North Africa countries. Mr Vidačak has published more than fifty articles on issues related to interest representation, lobbying, civil and social dialogue, governance structures and public policy making in transition countries. He holds a doctorate from the Faculty of Political Sciences in Zagreb, a master’s from the College of Europe Natolin/Bruges, and a bachelor’s degree from the Faculty of Humanities and Social Sciences in Zagreb. Marie Hladká holds a position of Assistant Professor in the Faculty of Economics and Administration at Masaryk University in Brno, Czech Republic. In May 2015, she successfully defended the dissertation “Factors influencing donors behavior”. Since 2006, she has been working as a researcher in the Centre for Nonprofit Sector Research. She focuses on philanthropy and volunteering, accounting and tax specifications of non-profit organisations, financial management and budgeting in non-profit organisations. The Centre for Nonprofit Sector Research is a research institute of Masaryk University, based in its Faculty of Economics and Administration. Its economists, historians, lawyers, sociologists, and political scientists research the current state of the Czech non-profit sector and civil society and study their development from the perspectives of their academic disciplines and in cross-disciplinary and cross-national contexts. The Centre conducts both basic and applied research, and offers an education programme for graduate and postgraduate students. In addition to publishing the results of research, its offers analyses, discussion materials, public policy documents, and strategic proposals to decision-makers and the general public with a view to stimulating public policy debate about the non-profit sector and civil society. Marie is a member of the Economic Council of ecclesiastical legal entities, and since 2010, councilor of the municipality. Kristina is trainer, consultant and writer on engagement, advocacy, good governance, management, organizational analysis and development, and networking and coalition building with a more than 20 years of experience in civil society from Estonia, US, Canada, South Africa, Russia, Georgia, Armenia, Tunisia, Myanmar, Latvia, Lithuania and Macedonia. Kristina is currently working for Mondo, an independent Estonian civil society organization which is devoted on development cooperation, global education and humanitarian aid. Kristina is leading the work on fair trade and responsible consumerism. Previously she has been the Director of Praxis Academy, CEO and Programme Manager of the Network of Estonian Nonprofit Organizations (NENO), Program Director in the AIDS Prevention Center, Advisor, LTA Program Director and Assistant Secretary General in CIVICUS in South Africa and consultant and volunteer coordinator to LifeBeat in US and Canada. Kristina has done research on engagement and charitable giving, including the study on the suitability of the percentage system in Estonia. In additional to professional writing, she writes travel articles and often speaks and moderates at various events. She has a Master’s degree in the English langauge and literature and a Master’s degree in management and marketing. István Sebestény was born in 1963, in Budapest. He made his degrees on economics, sociology, history and demography, and works in the Central Statistical Office since 1992 where he is involved in nonprofit statistics. He established Civitalis Association, and member of the editorial board of Civil Review, and Civil Forum in Cluj (Rumania). He took part in the work of National Civil Fund since 2004 to 2009, His PhD dissertation deals with is the funcions and results of the cooperation between local governments and civil organizations. Vaidotas Ilgius (45) – an experienced activist of Lithuanian NGO sector, head of largest Lithuanian charity “Maisto bankas” (“Food bank”). During 1995-2005 Vaidotas was leading Lithuanian NGO Information and Support Center. He initiated public debates on percentage philanthropy in Lithuania and promoted the adoption of 2% PIT designation for public benefit. Vaidotas served as expert in numerous Lithuanian and regional grant making programmes, runs training courses on philanthropy and fundraising in Lithuania. Nikica Kusinikova, MA, is the Executive Director of Konekt, non-profit organization from Macedonia dedicated to promoting philanthropy and Corporate Social Responsibility. 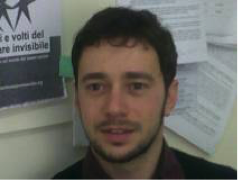 Nikica holds Joint European Master Degree in Comparative Local Development from the University of Trento, University of Regensburg and Corvinus University from Budapest. For the last sixteen years she works as manager and consultant for international and local organizations. Nikica is one of the key experts in the country on the issues of philanthropy and CSR, and author of several publications in this field. She is a member of national and multisectoral professional bodies such as: President of the National Council for Development of Volunteerism, Member of the Global Compact Local Networks Advisory Group, Deputy Member of the National Coordinating Body for CSR, and President of the Local Advisory Group for the EU Technical Assistance for Civil Society Organizations. Nikica volunteers and serves on the Board of a number of Macedonian non-profit organizations. Kuba Wygnanski is sociologist by training. He started his public activity as Solidarity activist. He was participating in historical Round Table talks. After 1989, he became deeply involved in numerous initiatives aiming to support civil society in Poland and other countries. He has started several NGOs including KLON/JAWOR Association (main support, research and information centre for Polish non-profit centre) and Forum of Nongovernmental Initiatives (FIP) which plays key role as representative of Polish Third Sector. FIP has initiated series of sector wide debates and meetings including six national forums of several hundred organisations. Kuba was one of the authors and main advocate for Law on Public Benefit and Voluntarism in Poland (introduced in 2002) containing so called 1% allocation. Currently he is member of Public Benefit Council. For over 20 years Kuba is deeply involved in research field of non-profit sector in Poland (including almost all international efforts of that nature in Poland – Johns Hopkins University, USAID (Index) and Civicus – Civil Society Index). Kuba was initiator and coordinator of multi-year systemic project of Polish Model of Social Economy. In 2003 he was Yale University – World Fellow. Catalin has almost two decades of experience in organizational development process and has focused n the last 15 years on developing philanthropy and fundraising in Romania through research and training and consulting processes. As a program director with the Association for Community Relations in Cluj, a non-profit organization, he has worked to improve the fundraising capacity of organizations like WWF Romania, SOS Children Villages, World Vision, Save the Children and many others. He has been involved in three nationwide researches regarding the philanthropic behavior of Romanian and in advocacy work to create a better framework for private resource mobilization in Romania. Aleksandra Vesic, with over 17 years of experience in non-profit sector, is an independent consultant and Senior Adviser at Catalyst Foundation. As a consultant, her specific areas of expertise are organizational development, strategic planning, sustainability and monitoring and evaluation and topics of interest include civic engagement and local philanthropy. She holds a B.Sc. in Electrical Engineering and a Postgraduate Certificate with Merit in Developmental Donors Practice from the London Metropolitan University. Previously, Aleksandra worked as a director of Balkan Community Initiatives Fund (currently Trag Foundation), coordinator at Autonomous Women’s Center and volunteer in various NGOs in Serbia. Since 2005, she was involved in a number of research initiatives related to giving; with Catalyst Foundation, she focuses on analyzing data on the status of philanthropic giving and trends in Western Balkans region.Aleksandra serves as a member of the Trag Foundation Board of Trustees, chair of Autonomous Women’s’ Center Board of Trustees, member of Project Advisory Board of Royal Norwegian Embassy and is an author of a number of publications related to philanthropy, evaluation, organizational development and civic/community engagement.She lives in Belgrade, has disability and is a feminist. 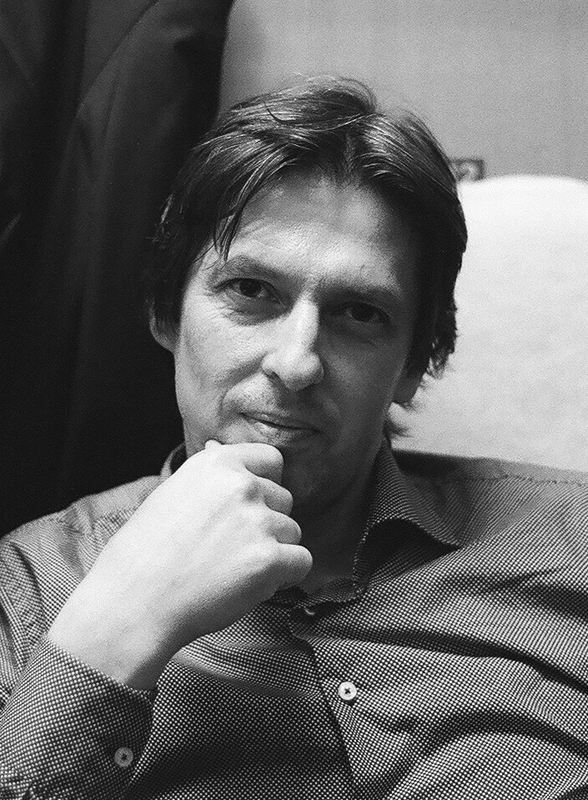 Fedor Blaščák (1975) is a philosopher by profession, currently working as an activist. In 2015 he was awarded with an Effective activist fellowship from OSIFE (Open society initiative for Europe). He is affiliated as a researcher, lobbyist and secretary of the Association of corporate foundations in Slovakia. He lives in Bratislava.